First things first; I was so touched and moved by the response to my previous post. I’ve been fairly open about my physical limitations in the past, but my mental limitations have as much of an impact on me. The good news is I’m doing a lot better on the new tablets, the doctor is very pleased with how I’ve responded to them and things seem a lot brighter. OK then, on to crafting. No, really! My concentration levels have waxed and waned almost hourly so I’ve been flitting between two projects; one knit and one crochet. 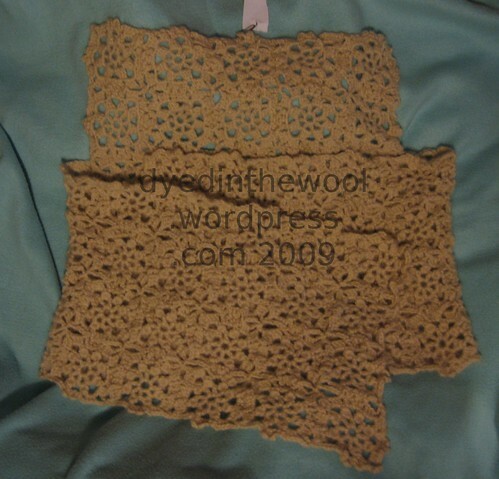 This is the RaeAnne Shawl Sweater from Blueprint Crochet by Robyn Chachula (on whom I have a developing crochet-crush). The motifs were memorised after about the 6th square so it’s just time and numbers that are the issue now. The yarn I’m using is Sublime Merino Angora DK that I got for an absolute steal in an online sale (no way I could have afforded it otherwise) and it is heavenly-soft. The yarn in the pattern was a merino/cotton blend so I thought the substitution would work well, with the angora having little to no elastic memory like the cotton. 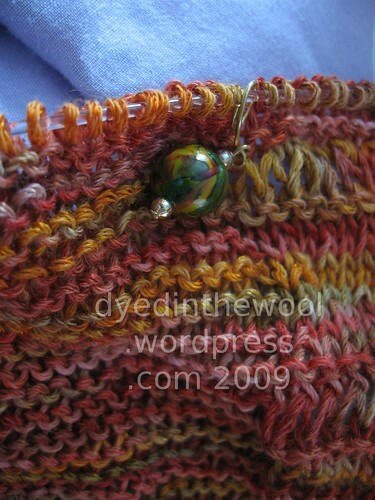 How serendipitous that the stitch markers I made match the yarn I bought! It’s fairly monotonous and the only concern I have is the amount of yarn I have. There’s no getting any more where that came from since the dyer faked her own death. Shame; she was talented. I have categorised all my yarn. All of it. Behold! 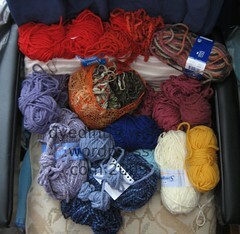 The makings of a crochet blanket. So, here’s hoping my next post appears sometime before the next decade.